Did Jesus intend to found a church separate from Judaism? Who were the very first followers of Jesus? And how did a clash between two families—the family of Jesus on one hand and the family of high priest Annas and their aristocratic allies on the other—eventually lead to the formation of Christianity? In this study, best-selling author Craig A. Evans looks at how a tumultuous chain of events from 30-70 CE—beginning with Jesus's entry into Jerusalem and subsequent crucifixion and ending with the destruction of the temple—led to the separation between the followers of Jesus and other Jews. 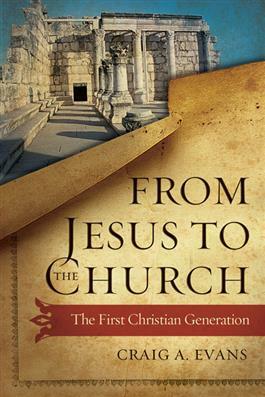 Topics include the following: 1) whether Jesus actually intended to found the Christian Church; 2) the ways in which Jesus's proclamation of the "Kingdom of God" relate to the Christian Church; 3) the role of James, brother of Jesus, in the new movement in Jerusalem; 4) the tension between James and Paul in the matter of law and works; 5) the conflict between the families and followers of Jesus and those of the high priest Annas before the destruction of the temple; and 6) the aftermath of the Jewish rebellion, whereby the Church moved away from its Jewish roots. An appendix further explores the reasons behind the rift between the Jesus movement and the synagogue. This fascinating volume is suitable for historical Jesus and early church studies, along with anyone else interested in learning about the very first followers of Jesus.